“Earthquakes have been linked to oil and gas activity for more than five decades, but in recent years the rate of tremors has shot up across the United States in areas where drilling and waste from the production occur,” Bill Ellsworth Stanford University geophysics professor said. In 2015, the Oklahoma government’s energy and environment cabinet introduced a website dedicated to the evidence that fracking causes earthquakes. “Oklahoma experienced 623 magnitude 3+ earthquakes in 2016, 903 in 2015, 579 in 2014 and 109 in 2013,” the website stated. Even Oklahoma’s Governor Mary Fallin has acknowledged that the wastewater disposal process in fracking may be the cause of Earthquakes. In 2015, Fallin called the Oklahoma Geological Survey’s endorsement of that relationship “significant” and stated that the state was dealing with the problem. 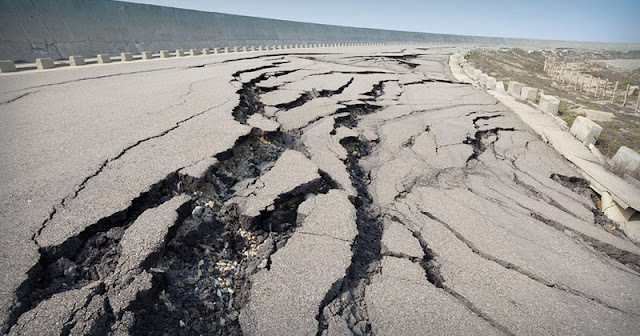 During the same year, the USGS found that manmade earthquakes were being caused in eight states including – Alabama, Arkansas, Colorado, New Mexico, Ohio, Texas, Oklahoma, and Kansas. Besides the unpredictable tremors from manmade earthquakes, there is another danger from fracking. That other danger is methane venting and leakage, which the EPA has downplayed according to a whistleblower who claimed that at least one EPA researcher accepted payments from the oil and gas industry. “There has been a persistent and deliberate cover-up that has prevented the agency from requiring the natural gas industry to make widespread, urgently needed and achievable reductions in methane venting and leakage (’emissions’) across the nation’s expanding natural gas infrastructure,” NC WARN wrote. Additionally, North Carolina’s senate has banned disclosure of the chemical that is used in fracking under the Energy Modernization Act in 2014. Under the bill, disclosing the chemical is a Class I felony, punishable by months in prison. According to the American Petroleum Institute (API) the Fracking fluid is more than 99 percent water and sand. The other chemicals are alleged to be ethylene glycol, borate salts and isopropanol, while the rest are trade secrets, the API has said. Two states have officially banned fracking – New York and Maryland. Maryland is limited until later this year, while New York is permanent. Ireland is Set to Become the First Country to Completely Stop Funding Fossil Fuels. Goodbye, Coal and Oil.